Are your dogs chewing everything in sight? 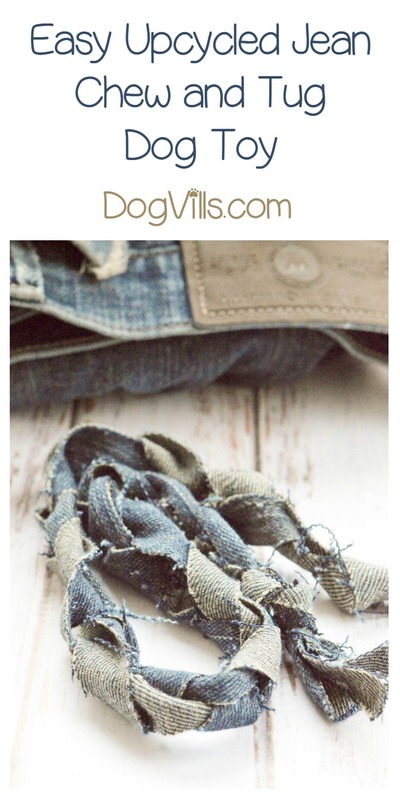 Put a stop to it by whipping up one of these easy DIY upcycled jean chew and tug dog toy! I don’t know about you guys but my two puppies literally chew on everything. You might think I’m exaggerating and are probably like, “She’s just being dramatic.” No, literally, they chew on everything. For example, I went to put them on their outside leash the other day to go potty and I put the apple I had in my hand in my mouth so I could use both hands. They tried chewing on the leash, my hand, my hair, their own foot, their own tail, their own ears, each other’s tails, ears, and feet, and anything else that caught their eye. While I was still struggling to get them hooked, they started grabbing at the apple in my mouth! I figured once they got a whiff of it, they wouldn’t want it anymore. I was wrong. Very wrong. I had two puppies hanging from the apple between my teeth. It was cartoon worthy. Anyways, they have devil teeth that destroy everything in their path which is why I rely on a good chew toy that won’t fall to pieces and make a mess in the house. That’s why my sister and I created this jean toy! 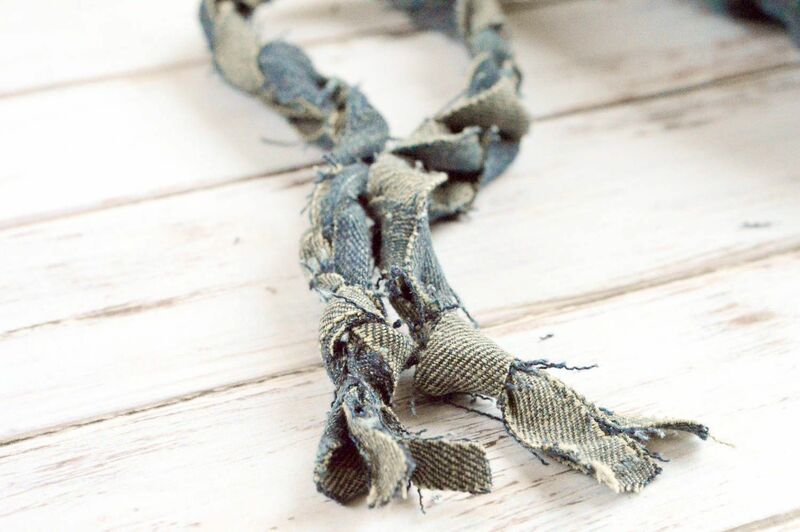 The jean material is tough and when it’s braided, it’s not easily torn apart or ripped to shreds. Here’s how you can make your own! Don’t forget to print out this craft for later using our printable “tutorial” card! 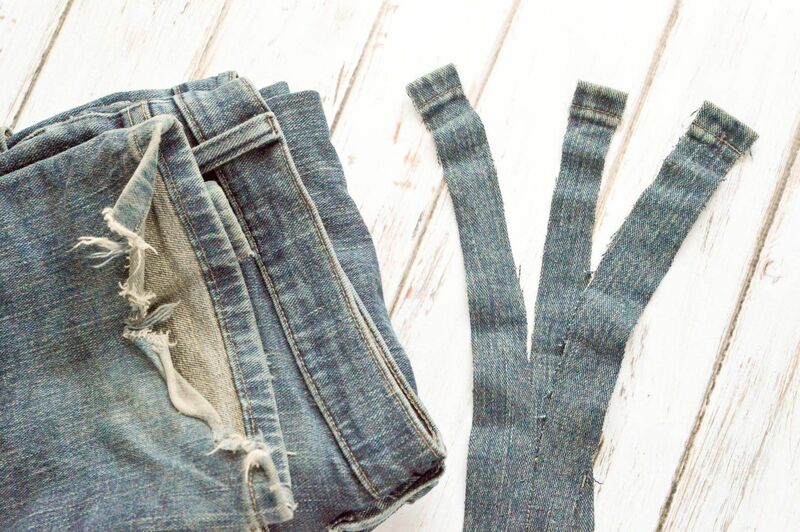 Take your jeans and cut long strips that are about 1.5 feet in length or even longer if you like. You’ll need 3 strips for each toy. The strips need to be about an inch or so wide. Knot the three strips together. Begin braiding the strips until you’re almost to the end and then knot the other end the same way you did the first one. Shake the toy off as there may be random pieces of material left from cutting the jeans up. Voilà, let the pups have fun! Don’t you love how easy it is to make this dog toy? I’m sure you have some old jeans laying around in your drawer, but if you don’t, you can always grab a pair from a thrift store. Since you can make a few toys from one pair, it will still be cheaper than buying rope toys in a pet store. Begin braiding the strips until you’re almost to the end and then not the other end the same way you did the first one. Voila, let the pups have fun! Looking for other easy DIY dog toys? 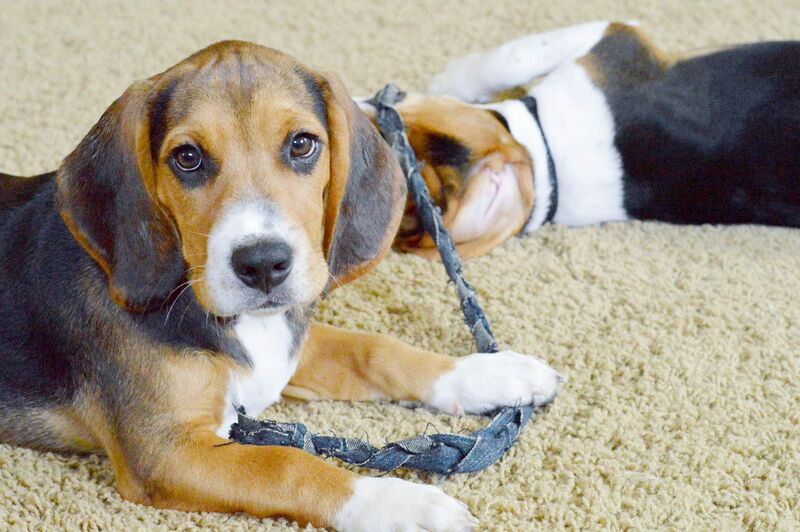 Check out 5 Great DIY Toys to Make For Your Canine BFF! 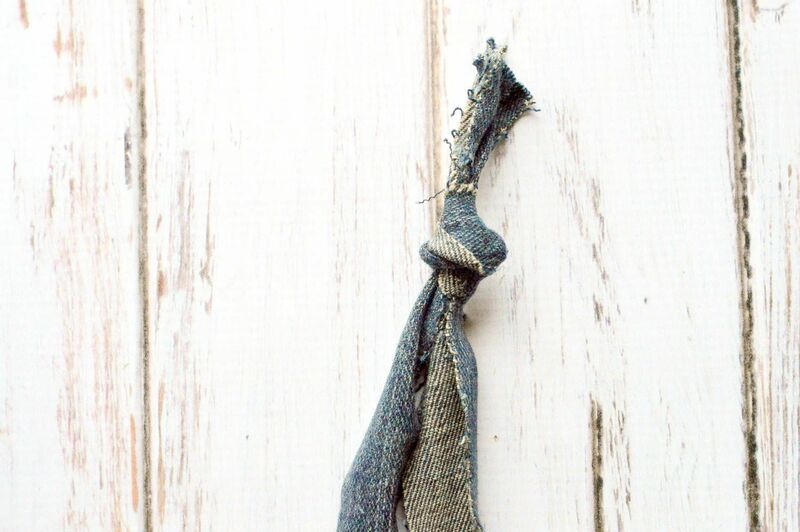 Have you ever taken something you had around the house and made an upcycled dog toy? Share your ideas in the comments!